VaryCam is best virtual webcam tool which could add thousands of fantastic effects to webcam during your live chats. 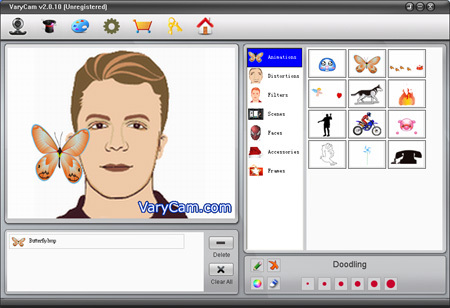 Its rich variety of effects could let your video chat become more interesting and delighted. It could add some animations and accessories tools and change your sense and face, and so on. 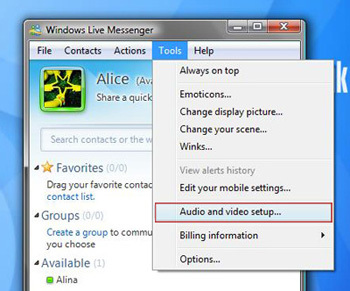 It could work for many webcam programs such as: Windows Live Message and Skype, etc. It is wonderful funny software. You may free download and try it! 1. First you must download VaryCam from http://www.varycam/downloads/varycam.exe. 2. Next launch the executable file (for example varycam.exe) and follow the installation instructions. 4. Then you add many of fantastic effects on your webcam during your chats. For example, if you want to add "Butterfly", you may select "Animations" and click "Butterfly" picture, then the effect will be added. If you want to change a scene, you could select "Senses", and click the picture which you want to have, then the sense will be changed. It is very simple. How delete the effects which you have added on the webcam? If you want to delete the effects, you may select one and click "Delete" button or Click "Clear All" button to clear all of effects. What is the button doing on the top of the UI? - visit VaryCam official Website. 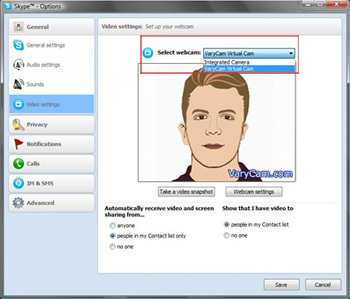 How to use VeryCam during Windows Live Message Video Chat? Don’t worry! In this case, you need to set your msn in a few steps. Firstly, after you have installed VaryCam and your Msn is running, you need to quite MSN and login again. 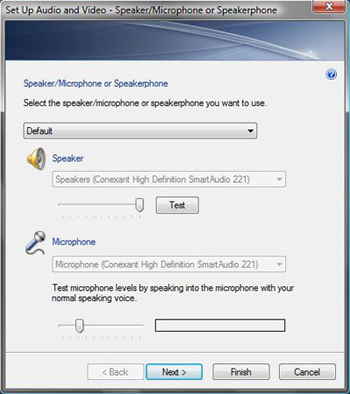 Next, you need click "Tool", select "Set Up Audio and Video" option. Select the webcam you want to use to place video calls. You need to select "VaryCam Virtual Cam". Then click "Finish" button. So, you could use VaryCam to add many of fantastic effects to webcam during your MSN Video Chat. How to use VaryCam during Skype Video Chat? First is the same as MSN. 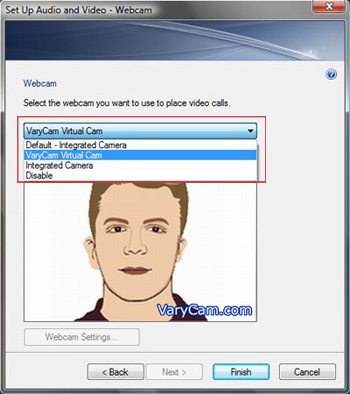 After you have installed VaryCam and your Skype is running, you need to quite it and login again. Video Setting: Set up your webcam. You need to select "“VaryCam Virtural Cam" and Click "Save" button. Now, you can use VeryCam during your Skype Video chat. If you have any question about VaryCam, please feel free to send email to us: support@varycam.com. We will solve your problem as soon as quickly.